Ranjani Rajendra roasts, shells and tempers a handful of locally-grown cocoa beans to tell the story of a single-origin bar. Ever since I watched Charlie and the Chocolate Factory, I’ve wondered what it would be like to be inside one. Would the heady aroma of cocoa fill my senses? Would the gooey chocolate have me drooling? Would I get to dip my finger in a glossy pool and sample some of it? Would I be able to see and experience the magical process that goes into creating some of the most decadent guilty pleasures we indulge in? All of this wondering came to a rather chocolatey end when I was invited to try my hand at making bean-to-bar chocolate, right here in the city. Not like the regular chocolate-making workshops where one learns to make desserts with fillings; but the kind that takes you through the entire gamut — from roasting and shelling cocoa beans, winnowing and grinding, to finally melting and tempering before pouring it into moulds to create your own bar of chocolate. And no, I’m not talking about mass-produced commercial chocolate. At Nitin Chordia’s Cocoashala, it’s all about using pure ingredients to make chocolate, minus the added emulsifiers and stabilisers. What it also offers you is an opportunity to use home-grown cocoa beans. Think Pollachi, Coorg and Kerala. “People don’t realise that chocolate is a plant-based product; that cocoa is a fruit. It grows well in tropical belts and always needs a shade tree to grow. Here, it is primarily grown in Kerala, Tamil Nadu and Karnataka,” says Chordia. While the two peak seasons are February and October, farms harvest cocoa through the year. Expectedly, some of the best quality beans are found during the peak season. 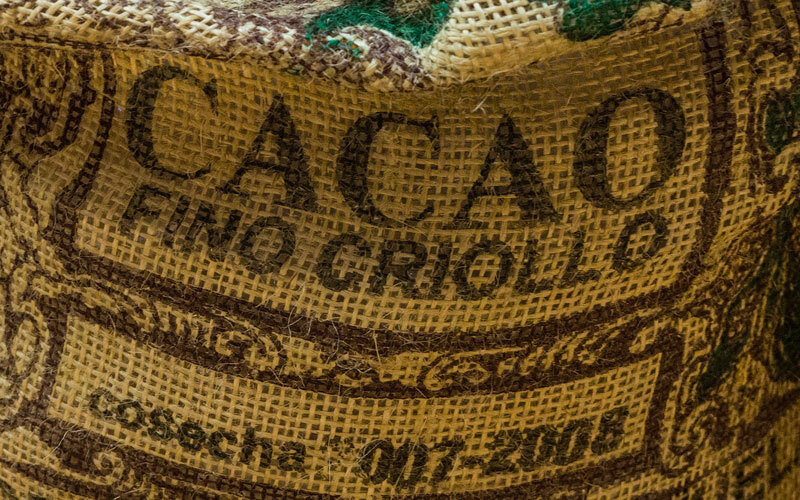 There are three basic varieties of cocoa — Criollo, the most expensive and premium; Forastero, which is what is found in India; and Trinitario, a blend of the two. The colour of the cocoa pods too changes with the varieties; in India, it is common to find green and yellow; in South America, it is the more robust purple ones that hang lusciously from the plant. The flavour profiles too change depending on the terrain — while some boast berry notes, there are others that have a citrusy zing or floral notes. These, without any added infusions. Indian chocolate has a more earthy flavour profile. What also impacts the flavour profile of cocoa is the duration for which it has been fermented, aerated, turned and dried. For instance, a batch of beans that had arrived experimentally at Chordia’s lab was still moist for lack of proper drying. Despite vigorous roasting, the cacao nibs from this particular batch lacked the robust flavour of well-fermented and dried cocoa. The dank smell was a dead giveaway. In some cases, this impacts the finished product, with the chocolate tasting and smelling odd. While traditionally, cocoa beans are roasted in a coffee bean roaster, here we set about doing so in an open pan, since we were working with a small batch. The roasting is essential to remove moisture from the bean, though there are variants of chocolate that skip this process altogether. The roasting also makes it easier to shell the beans before they are put into the winnower to separate the nibs and shells. The beans are usually roasted at around 120 degrees C for about 20-25 minutes, but it depends on the chocolatier’s judgement. What is important, though, is that the beans are constantly turned to avoid burning. What follows is the beautiful process of grinding. Beautiful, because it is this process that gives chocolate its lovely gloss and smoothness. It is here that the nibs transform into a gooey paste. It is also at this stage that a hint of sugar (more, if one wants it sweeter) and pure vanilla are introduced, to bring out the robust chocolate flavours. Typically, cocoa is ground for around three days; this includes conching (a low pulsing process used to give the ground chocolate its characteristic smell and texture). The amount of time for which the chocolate is conched is also what lends it smoothness and a better mouthfeel. It is after this process that the chocolate is poured into a mould and readied, either to be shipped to a chocolatier or to an industry where the chocolate is put between hydraulic presses to extract cocoa butter, which is used in the cosmetic industry. The residual product after the extraction is used to make drinking chocolate and compound chocolate (what is available in grocery stores). Fine chocolates retain the cocoa butter, as this is what lends chocolate its character. Chocolate with cocoa butter is also a lot more delicate and needs to be handled with care. To develop it further, the chocolate is melted to about 50 degrees C before it is tempered (expertly swished around on a stone slab to bind all the fatty crystals in the chocolate) to a temperature of 29-27 degrees. In this case, it is Chordia’s wife Poonam, who does the tempering. I watch fascinated as she deftly handles the mass of gooey chocolate with her spatula. This is again heated to 32 degrees. “This process is important,” says Chordia, “since it gives chocolate its snap and sheen and brings out the flavours better. For chocolate with cocoa butter, this is a very important process.” And just like that, the chocolate is ready to either be poured into moulds to form a bar, or create truffles and ganache treats.